No book has been more abused and abusive than the Book of Revelation. Martin Ramirez Sostre. inmate held in solitary confinement, later granted clemency by NY Gov. Carey..
Below are excerpts from a sermon preached at the Gunnison Memorial Chapel of St. Lawrence University in Canton, NY inspired by Martin Sostre and re-reading the Book of Revelation. 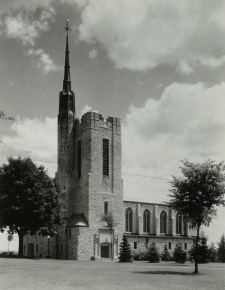 The sermon was published by The Christian Century (March, 1974). 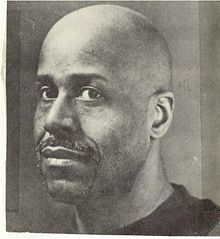 The first half of the “Worship and Resistance: The Exercise of Freedom” introduces the hearer/ reader to the case of Martin Sostre’s resistance as a political prisoner incarcerated in solitary confinement at Clinton Correctional Facility in Dannemora, NY, known as “New York’s Siberia” or, as the inmates refer to it, “the Hell Hole of the New York Prison system”. It was during my weekly Wednesday evening program and visits with prisoners there that I learned about the case of Martin Sostre, held in solitary confinement in resistance to dehumanizing prison practices, and joined the campaign for his pardon. “Then I heard another voice from heaven ssying, ‘Come out of her, my people, lest you take part in her sins…’” (Rev. 18:4 RSV). A commentary will follow soon on my experience of visiting Martin during the time he was transferred to the Federal Detention Center in NYC where he was held as a witness in someone else’s trial. Prior to that visit, none of us in Northern New York had been able to meet with Martin because of his refusal to see visitors on the principle that the rectal “searches” required before and after visits violated his human rights. NY Governor Carey eventually issued a pardon.